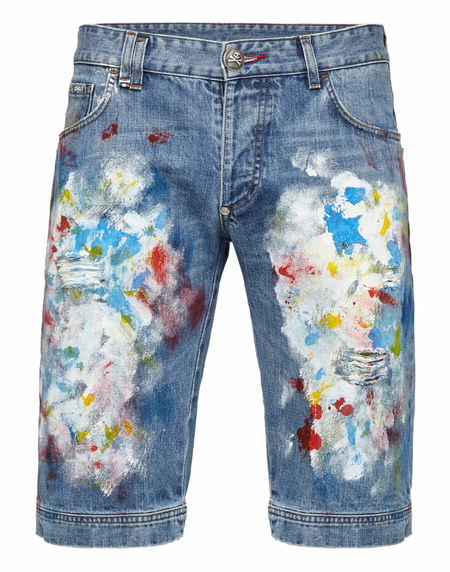 Blue stone washed stretch denim five pockets short jeans with daming enriched by multicolor print placed at fronta and back. Small skull studs placed at back pockets. Metal button fastening. Jacquarded lettering sewn at watch pocket.